Winner, 2014 Denver Mayor's Design Award. Cool modern design. Super energy efficient construction. 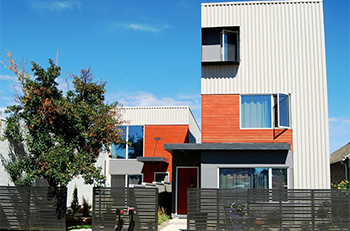 For details, click Rino Townhomes. 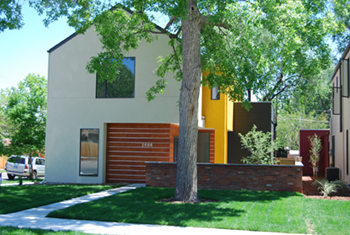 Two modern single family homes near Sloan's Lake. Walled courtyards and private yards outside compliment dramatic interior design. For details, click Meade Street Group. 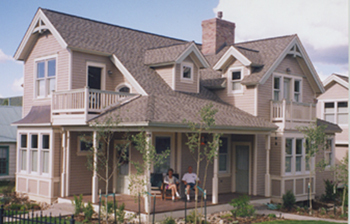 New construction designed to be compatible with the Breckenridge Historic District. For details, click French Street. A nine unit townhome development near Lake Dillon provides spectacular views from a high, sloping building site. For details, click Rocky Point Townhomes.